So I guess there’s need of explanation of the title of this section “The Elephant Wanderings”. One of the conversations H and I had when talking about going travelling for a few months was the fact that we’d be spending lots more time together. During our average UK working lives, we saw each other a few hours a day at most, and even then it wasn’t focused together time. Whilst we thought this shouldn’t be a problem, because our holidays show we get on really well together 24/7 for a couple of weeks at least, we did accept that every now and again, we’d need some time on our own. We thought a simple code word could be useful, if this occurred when in company of others, and so was born the phrase “go and walk an elephant”. This seemed suitably themed to the country we were visiting (India). A few of our friends got to hear of this plan in the weeks leading up to our departure, and for two of them, when they stopped in a shop and by chance saw a pair of elephant cufflinks, they thought of this story. Knowing we were travelling light, they thought these would make an amusing, yet not burdensome gift to accompany us on our travels, and duly presented us one each on our departure (yes I did have to hold back the tears!). 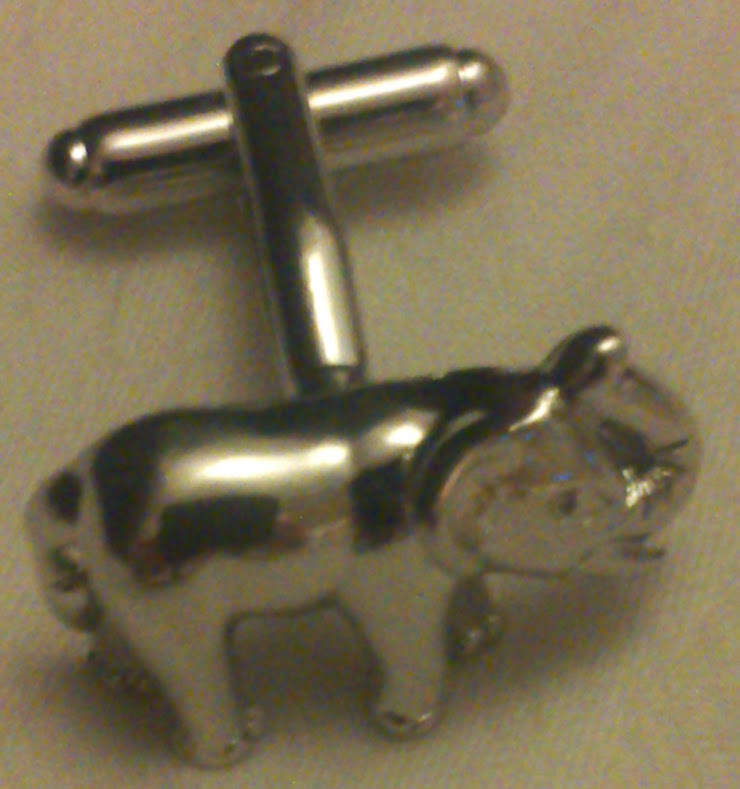 Whilst lying in bed on our first night in India, these cufflinks provided me with an idea – why not try and tell the story of our wanderings around the country using photos featuring my elephant, and title those ramblings (potentially a blog) – the elephant wanderings? So there we were, in India, with our elephants, and keeping track of our exploits in some form or another. My friends and family will of course now know, that those daily images did indeed happen throughout our Indian travels, but they only made it as far as a popular social media channel with a very brief text. Now they will be added here, with additional pictures from the trip, along with some more of my waffle. Enjoy the wanderings!